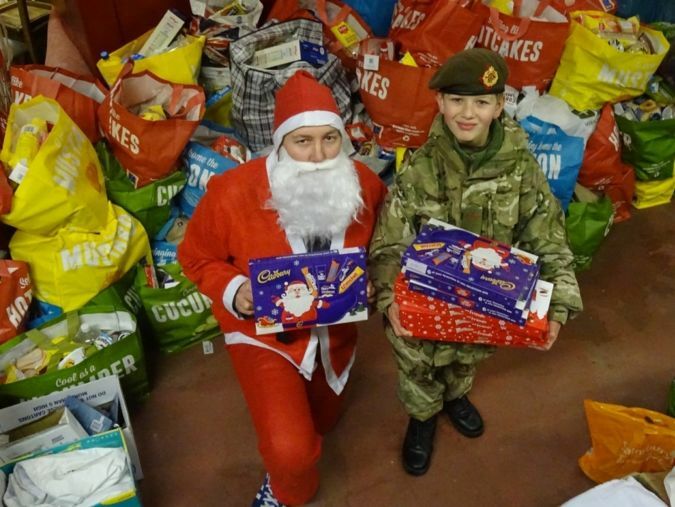 Cumbria Army Cadets became Santa's helpers on Saturday 12 December to help bring a smile to the faces of children affected by the devastating floods. Parking up his sleigh, Santa swapped his normal mode of transport to join the Army cadets in a 4x4 vehicle to deliver Christmas selection packs to the children who live in the rural areas of the Eden valley including Appleby, Bolton and Colby. The boxes of sweets had been donated to Eden Flood Volunteers; a voluntary group set up in Penrith by Kerryanne Wilde to bring people together who wanted to help those badly affected by the floods. The cadets from detachments across the region, including Penrith, Brampton, Castle/Morton, Workington, Aspatria and Longtown all helped the voluntary group and gave up their Saturday to give more support. Other detachments, including Whitehaven, Cleator Moor, Keswick, Barrow, Dalton, Walney Island and Cockermouth were either fundraising or taking hot drinks and food to affected residents in their areas. Cadet Ben Townsley (12), who attends St Joseph's Catholic High School was one of the cadets that helped distribute the selection packs. He joined Workington detachment only seven weeks ago. "I know people who have been affected by the floods. My friend's uncle can't sleep in his house anymore so I just wanted to help." Whilst Ben was helping to hand out the sweet treats, other Army cadets were heading out to Appleby to deliver much needed cleaning materials including brushes and mops. 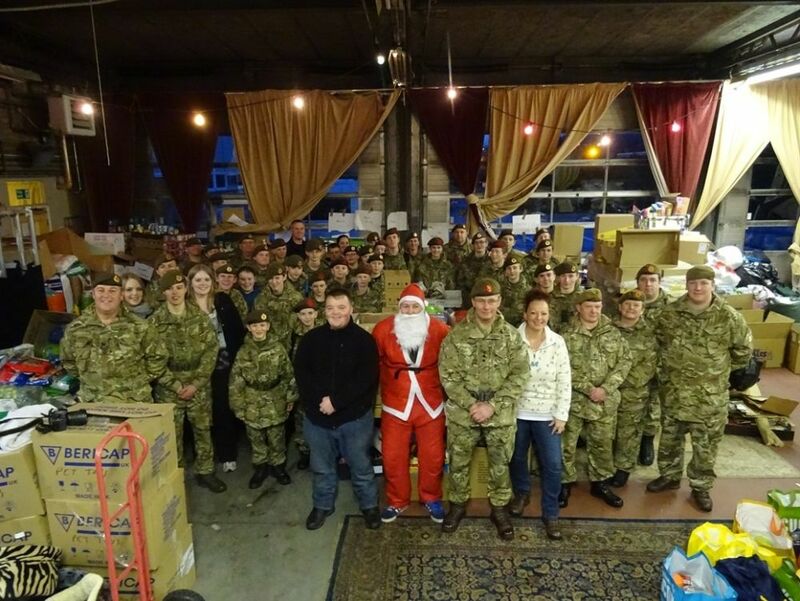 A third group of Army cadets helped sort out clothing at a second storage collection point at the vacant Co-op store in the town. The Eden Flood Volunteers is manned by volunteers who have been sorting and distributing donations that have been pouring in since it was established just over a week ago. "We've been inundated with help and support," said Kerryanne. "The hub was opened on Monday morning and we haven't stopped. It’s a full time operation and without the cadets' support we would not have achieved as much as we have. They should all be proud of themselves and give themselves a pat on the back." Volunteer Martin Davidson who is a former Army cadet himself enjoyed working with the Army cadets and is now considering joining as an Adult Instructor. He said: "I was asked to help with the delivery of the sweets. The cadets just got stuck in, I was really impressed." Fellow volunteer Peter Martin was also taken with the efforts of Cumbria’s Army Cadets. "They worked really hard and were extremely polite. They've been superb. I was very impressed, they are a credit to the ACF. We would have been lost without them." The Commandant of Cumbria Army Cadet Force, Colonel Anthony Steven said: “As a military organisation that lists selfless commitment as part of its core values, I was determined that we should not stand back while our fellow Cumbrians have experienced such catastrophic losses. I am incredibly proud of how well cadets and adult volunteers from Cumbria ACF rose to the challenge of helping our citizens in their time of need."